Sexual assault charges laid against military member in Halifax, N.S. Comments Off on Sexual assault charges laid against military member in Halifax, N.S. 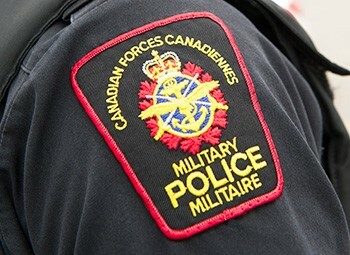 Yesterday, the Canadian Forces National Investigation Service (CFNIS) charged a member of the Canadian Armed Forces (CAF) with sexual assault under the Criminal Code and other charges under the National Defence Act (NDA). The charges relate to reported incidents while aboard HMCS KINGSTON between February and March of 2018 during Operation PROJECTION. Incidents involved another member of the CAF. Leading Seaman Trevor Michael Brenton, a Regular Force member with HMCS Moncton, though currently serving with Fleet Diving Unit (FDU) (Atlantic) faces the following charges. · Two (2) counts of Sexual Assault punishable under section 130 (1)(b)(abroad) of the NDA, contrary to section 271 of the Criminal Code of Canada. · One (1) count of Disobedience of lawful command contrary to section 83 of the NDA. · One (1) count of Behaving in disgraceful manner contrary to section 93 of the NDA. · Two (2) counts of Abuse of subordinate contrary to section 95 of the NDA. In March 2018, a third party reported that an incident of sexual nature had occurred onboard HMCS KINGSTON while ship was deployed at sea along the coast of West Africa. The matter is now proceeding in accordance with the military justice system for possible court martial at a date and location still to be determined. “The Canadian Forces Military Police seek to investigate and where appropriate lay charges based on factual evidence regardless of location in Canada or abroad. In all cases, the subject of charges is presumed innocent until proven guilty. The matter is now proceeding in civilian justice system at Halifax Provincial Court House. The CFNIS is a specialized unit established within Canadian Forces Military Police Group (CFMP Gp). Its primary mandate is to investigate serious and sensitive matters in relation to Department of National Defence (DND) property, DND employees and CAF personnel serving in Canada and around the world. The CFMP Gp and the CFNIS conduct police investigations independently, without interference and in accordance with the highest professional standards.